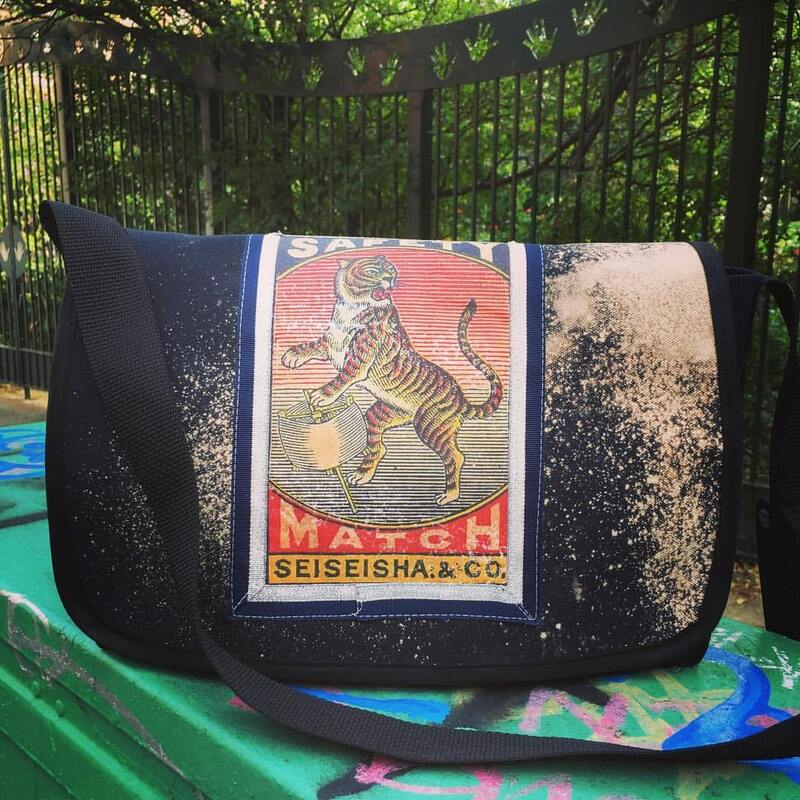 This gorgeous messenger bag features a beautiful graphic of a tiger taken from of a vintage safety match box. The image is heat transferred onto fine cotton and appliquéd with ribbon to the flap of the bag. 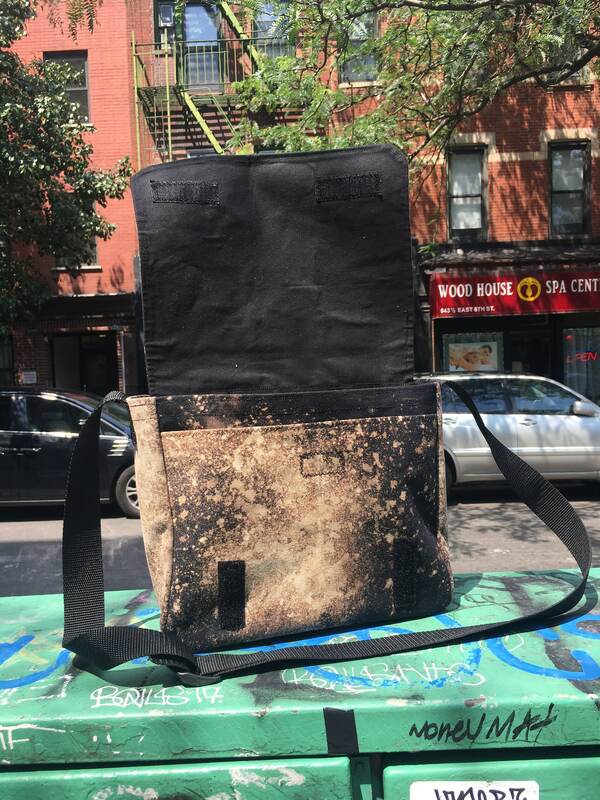 The construction of the bag is made from a heavy duty cotton duck canvas that is treated with bleach to create a unique effect. This bag has an interior pocket and one large exterior pocket under the flap. Velcro closures secure the flap of the bag to keep your belongings safe. There is a 1.5" polypro adjustable strap. 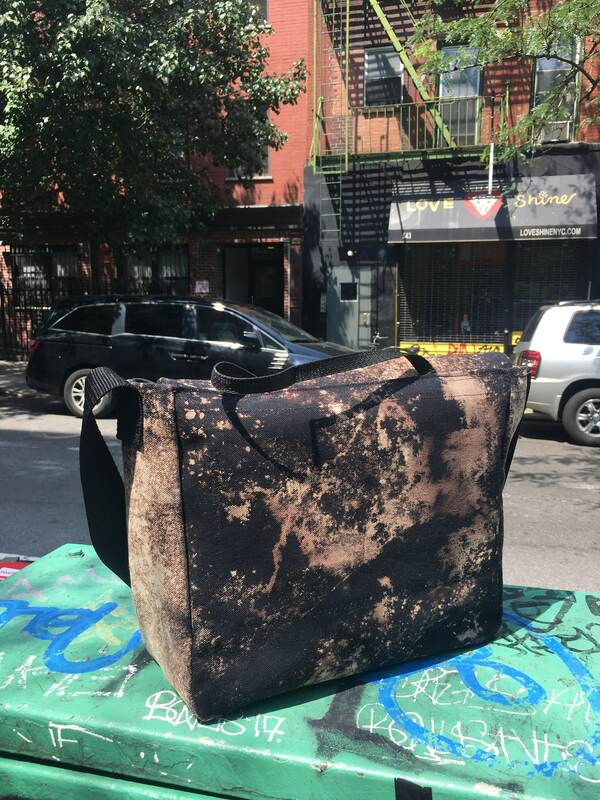 This image is also available as a smaller Day Bag.